Tooth decay is preventable. Early diagnosis and treatment can arrest or slow the progression of dental disease. People avoid dental care or are too busy to access assistance from dental practitioners. Our services prevent pain. There are some extremely serious repercussions from not seeking dental care that include not only pain, but infection, tooth loss and even death. Most ailments start in the mouth and early detection of disease can be first seen in the oral cavity. We are trained to see all kinds of disease that show signs in the teeth, gums and oral mucosa……and we can refer patients to the right doctors before too much harm is done. 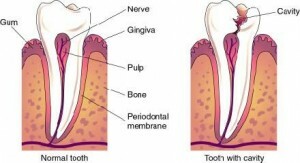 Gum disease is a pre-cursor to heart disease and stroke. Diabetes patients need regular care by a dental hygienist as do pregnant patients. Prevention is better than cure. Health is not the absence of disease, but the state of social, physical and mental well-being. The importance of the oral cavity in predicting and screening for disease is greatly recognised. We as dental hygienists have a duty to help prevent further disease and to maintain your good oral and over-all good health. Thanks a ton for posting this, I discovered it very informative, and it answered most of the concerns I had.